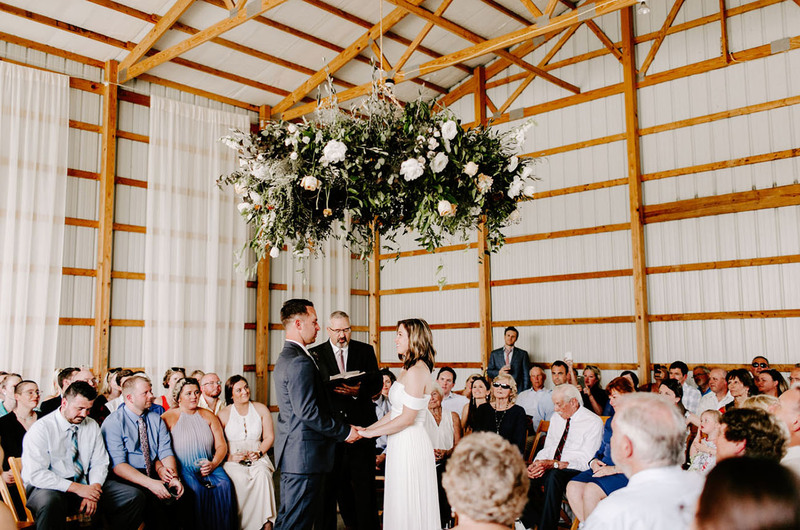 It turns out, the barn was decked out with stunning florals and chairs were arranged in a circle around an alter! Isn’t that so amazing?! 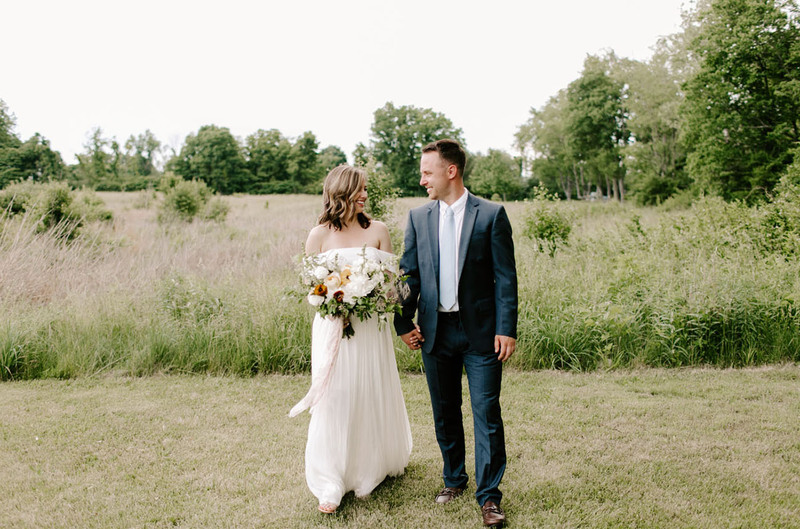 The rest of the day went off without a hitch and Emily Elyse Wehner Photography was there to catch every fun detail! Now that we’re all in on the surprise, let’s have a look at how it went down! 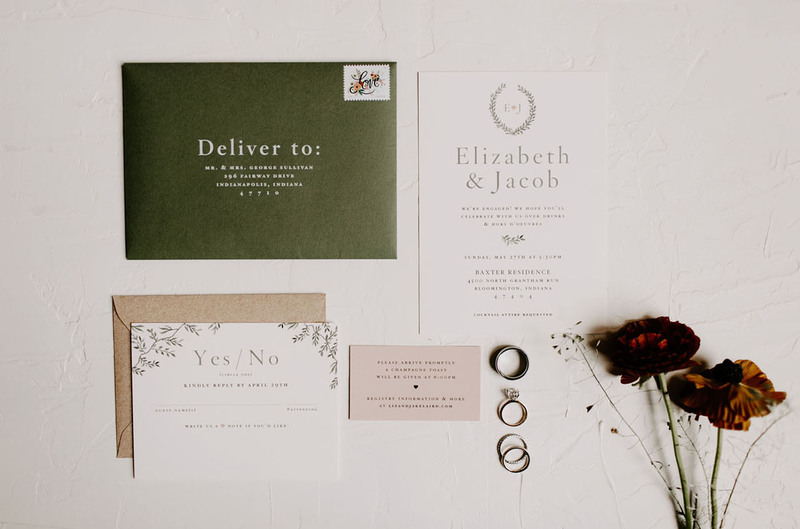 The gorgeous party invitation by Blaire Speaker suggested a special day to come! Liz was on the hunt for a dress that converted from long to short for different parts of the day. 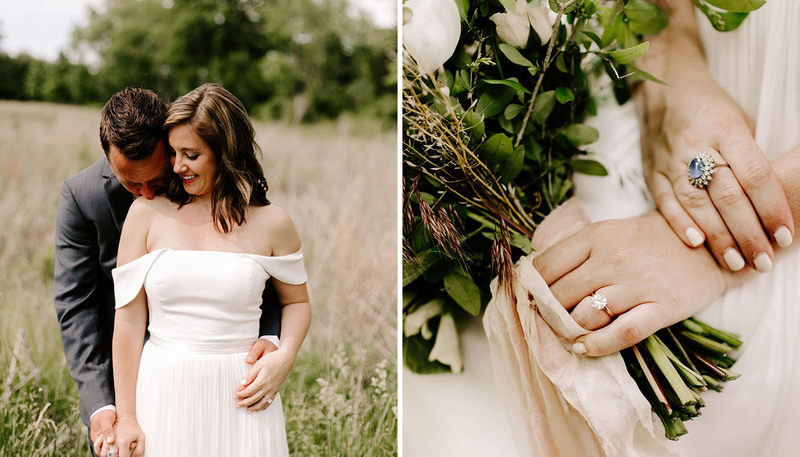 Her final look is nothing short of brilliant: she found the perfect short dress and put a skirt over it for the ceremony + photos! 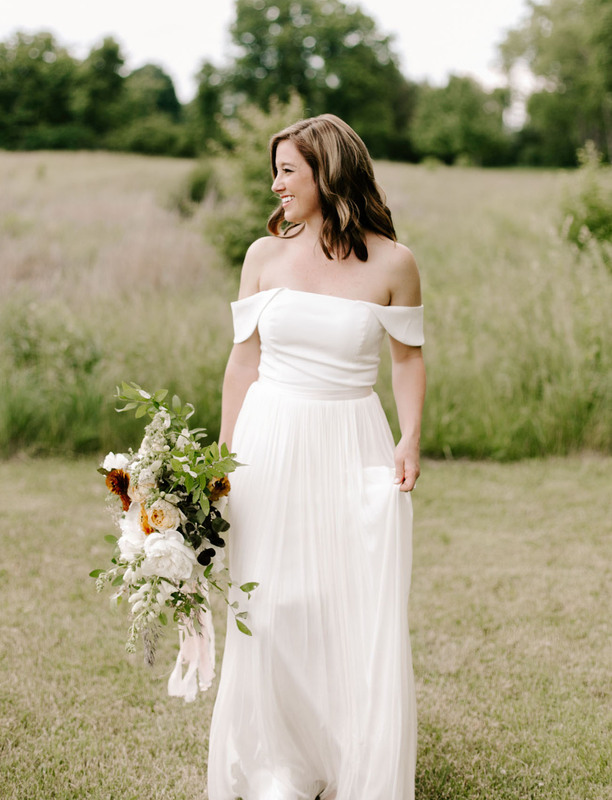 Both pieces were from BHLDN! 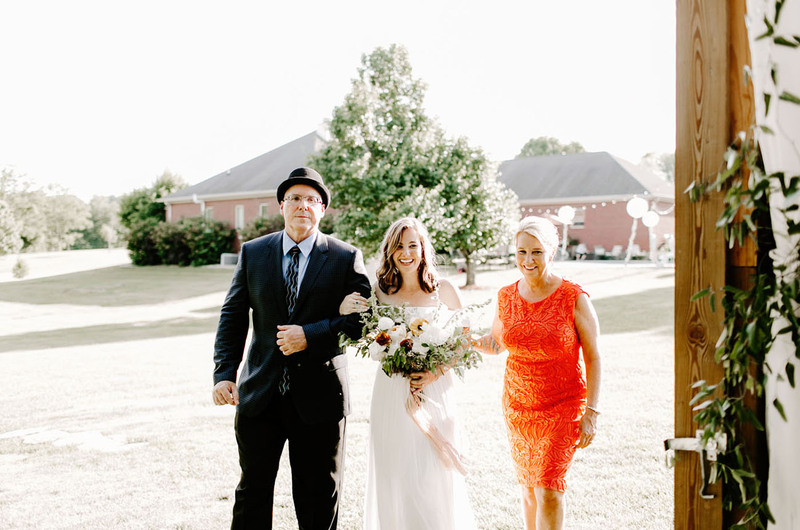 Liz always loved the idea of a surprise wedding and Jacob was totally on board! They wanted a fun atmosphere, nothing too formal, and a dance party. 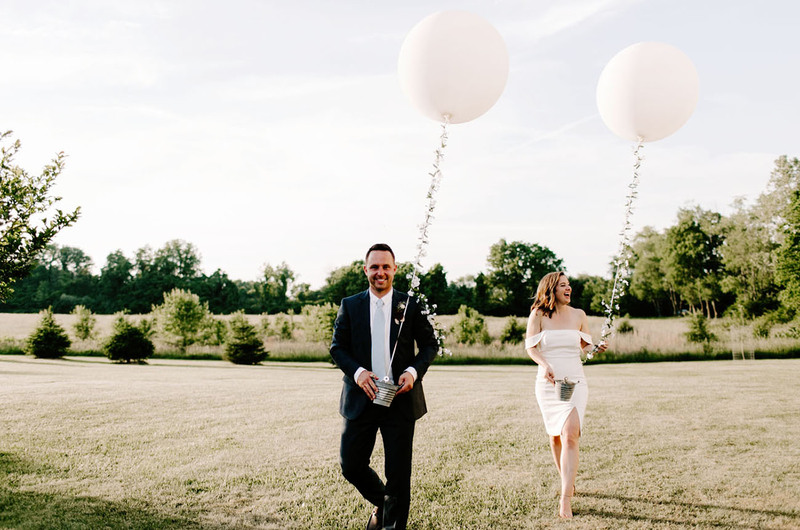 No one expected a wedding only 5 months after the engagement, so they definitely had the advantage! 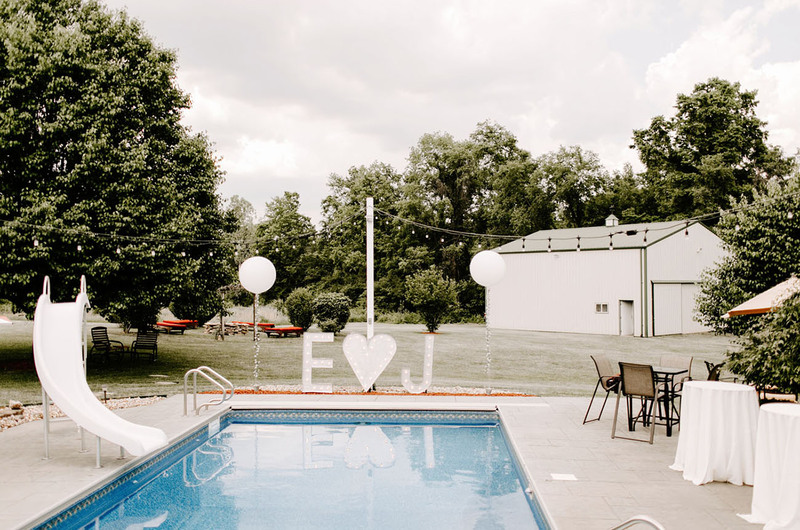 Choosing a Sunday date over a long weekend helped L + J secure vendors on short notice and with that, every thing was in place to pull off the ultimate surprise! Isn’t that blue ring a beauty? It belonged to Liz’s Nana, who passed the previous spring. Wearing her ring was the perfect way to both honor her and sneak in something blue without anyone questioning it! Telling everyone that they were actually at our wedding! We had a few of our close friends give toasts prior to us telling everyone they were at our wedding, which was so sweet. It was one of the more traditional things we did! Once they finished, we finally told everyone that it was a wedding and that the ceremony would begin in 30 minutes. 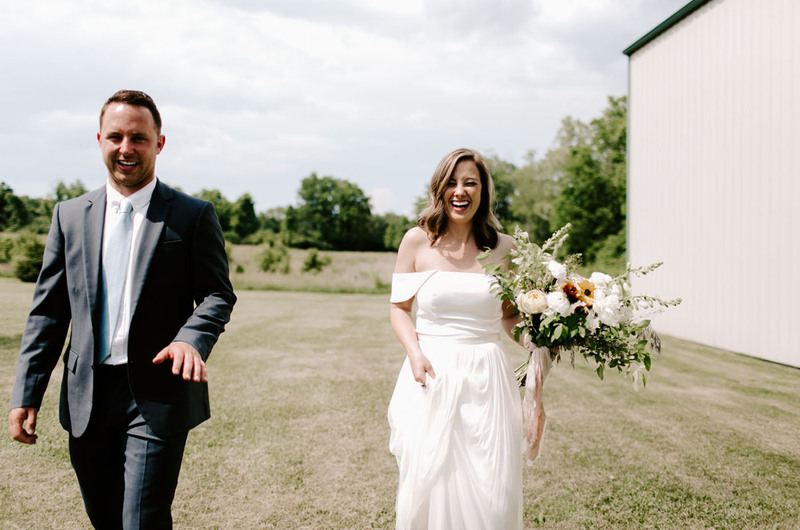 Thank goodness we didn’t have a lot of things to do before the ceremony because everyone was crying and hugging—their reactions were priceless! Once we told people it was a wedding, the entire vibe changed and it was a true celebration. 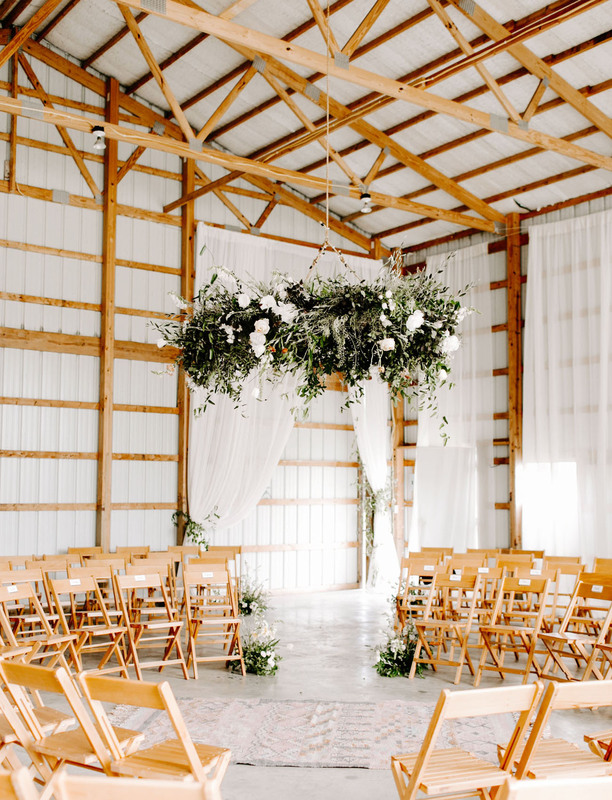 Can you imagine walking into this GORGEOUS surprise?! 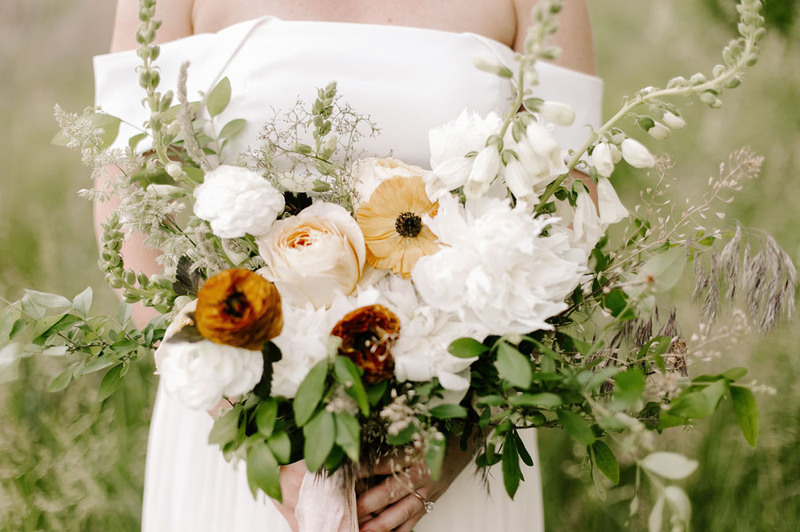 Old Forest Farm completely outdid themselves with the most beautiful floral arrangements! 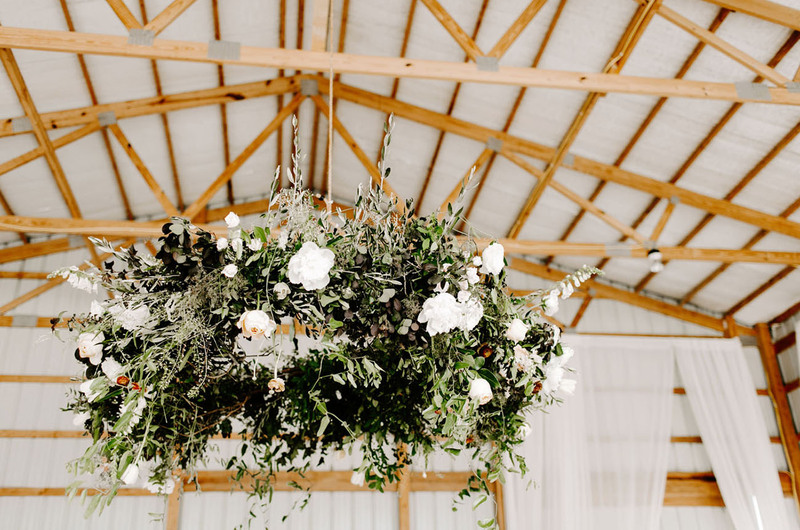 From Liz’s bouquet to this dreeeeamy circular installation, everything was perfect! Jacob’s dad got ordained just to officiate the ceremony! There was no rehearsal—they just went for it! 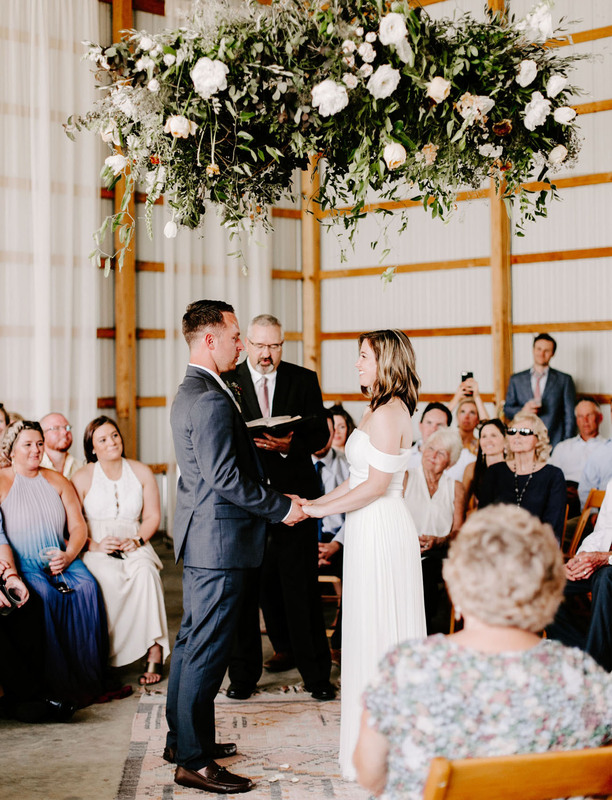 As for guests, L + J made a conscious decision to invite only people they both knew or had met before to avoid any awkward first time meetings at the wedding. In the end, they had almost all of their favorite people in one place! 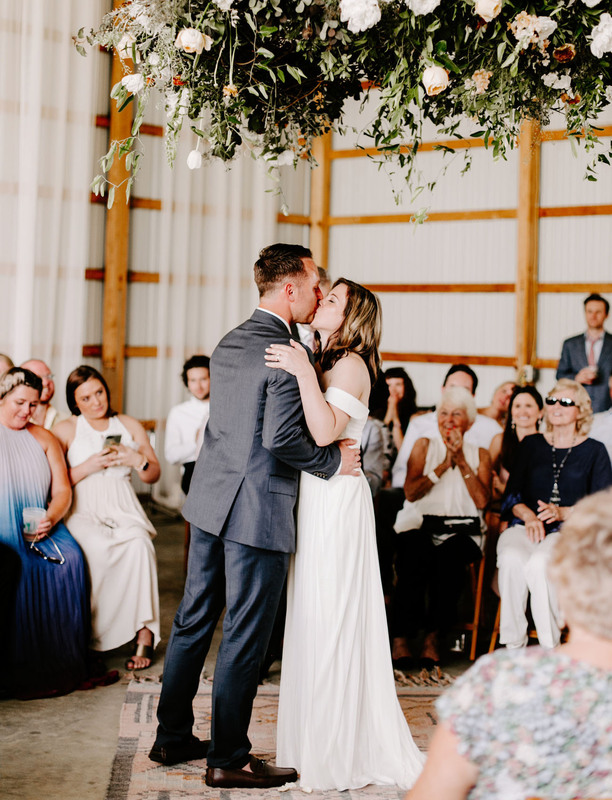 The first dance came immediately following the kiss at the end of the ceremony. A live musician played Perfect by Ed Sheeran, the song that played as Jacob proposed to Liz! Everyone sang (and cried!) 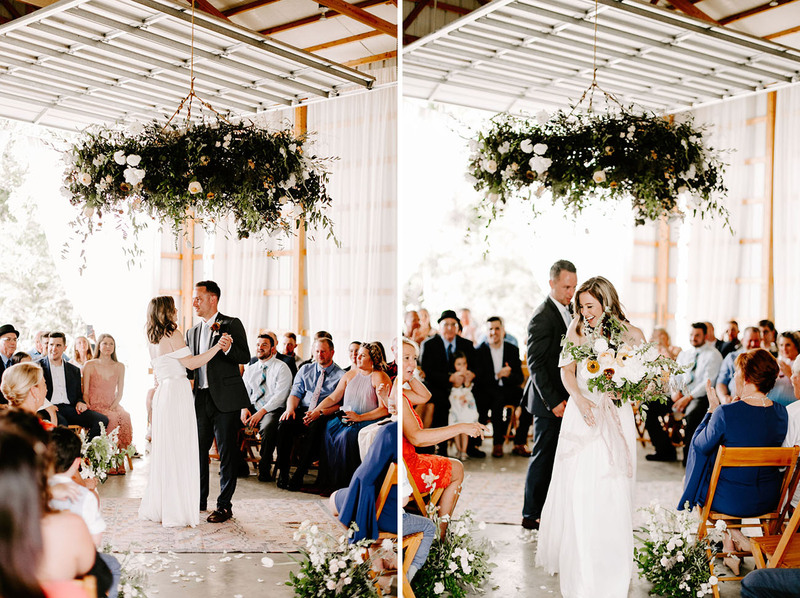 along—the newlyweds literally surrounded by all the love! If people RSVP no, make a decision together to either tell them it’s a wedding or not. That was the hardest part! We decided at the beginning of the planning process that if they RSVP’d no, we weren’t going to tell them it was a wedding as to not hurt feelings. It was a tough decision but in the end we were happy we did it! Tell one key person so you have someone to talk to. 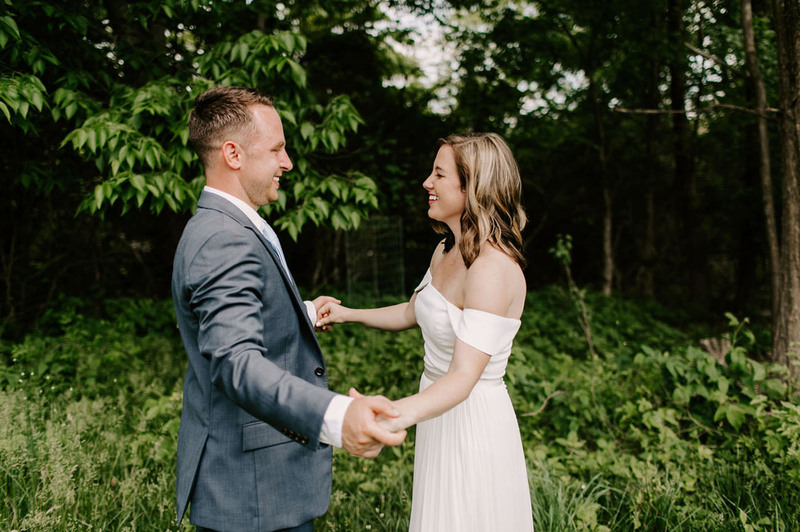 The hardest part was not talking to people about your wedding in the month leading up to the big day! If you have someone helping plan, keep them on speed dial! Yay! 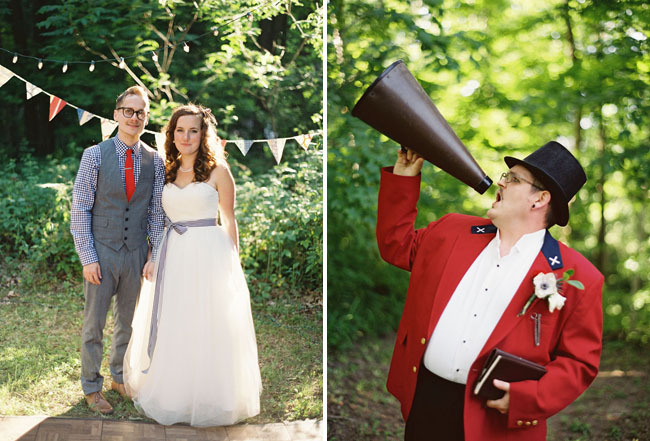 Many congrats to Liz + Jacob on your marriage—and pulling off the happiest surprise EVER! Love all the emotion captured in these images !